Audiences can travel back to the 1950s as Upper Darby Summer Stage presents “Bye Bye Birdie – Young Performer’s Edition.” Performances are July 13, 14 and 15 at 10:30 a.m. and on July 14 at 7:30 p.m. at the Upper Darby Performing Arts Center. Tickets are affordably priced at $7-11 and can be purchased online at www.udpac.org or by calling the box office: 610.622.1189. The Upper Darby Performing Arts Center is located in Drexel Hill at 601 N. Lansdowne Avenue, minutes from the Main Line and Center City. The show is approximately 60 minutes with no intermission. Parking is free. The show is ideal for ages four and up and free babysitting is offered for siblings who may be too young to sit through the entire show. Today there is Justin Bieber and One Direction, but back in the ‘50s, Elvis was King! “Bye, Bye Birdie” is a nostalgic twist on ’50s pop culture and received the Tony Award for Best Musical when it debuted on Broadway in 1960. The show tells the hilarious story of a teen idol based on Elvis. Conrad Birdie (Nick Vecchione of Springfield) is about to be sent off into the army and his agent, Albert Peterson (Alan Oruska of Springfield) comes up with a publicity stunt for a small-town girl, Kim McAfee (Helena Bryant of Berwyn) to have one last kiss with Conrad before he heads off to war – and the fans go wild! For children this show is a wonderful introduction to the fun of the 1950s and is a trip down memory lane for parents and grandparents! A Summer Stage show is a unique experience. Young audience members are invited to come early to performances to participate in fun pre-show activities and stay after the show to meet cast members. For 41 seasons Upper Darby Summer Stage has been empowering young people and entertaining families throughout the Philadelphia region. 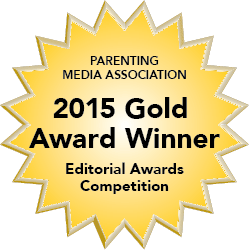 A two-time consecutive winner of the Main Line Parent’s “Best Children Theatre” Love Award, the program is also a five-time consecutive MyFoxPhilly HotList winner in the “Best Theatre” category.